A plaque commemorates the centenary of Rugby League and also the historical significence of the site. Rugby league was first played in the Nowra and Shoalhaven districts in 1914. The inaugural competition included teams from Kiama, Gerringong, Bombo and Jamberoo. 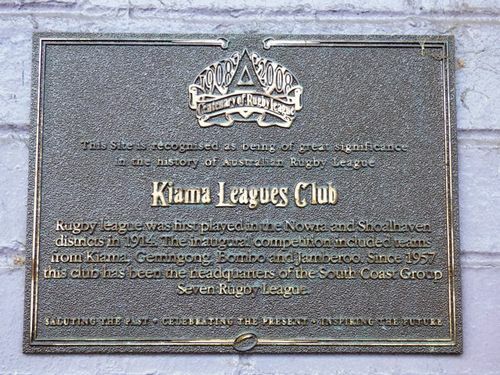 Since 1957 the Kiama Leagues Club has been the headquarters of the South Coast Group Seven Rugby League.